This past January, I took a hard look at my financial situation and realized that I was spending far too much on golf. As a golf writer, I’d gotten quite a few rounds and trips for free, but where I was hemorrhaging money was on all the rounds after work, and on weekends at places I’ve already played and reviewed. This was obviously an area that I needed to improve on significantly for 2013. I decided to keep an open mind, and had heard that private clubs are currently putting a high emphasis on recruiting younger members. 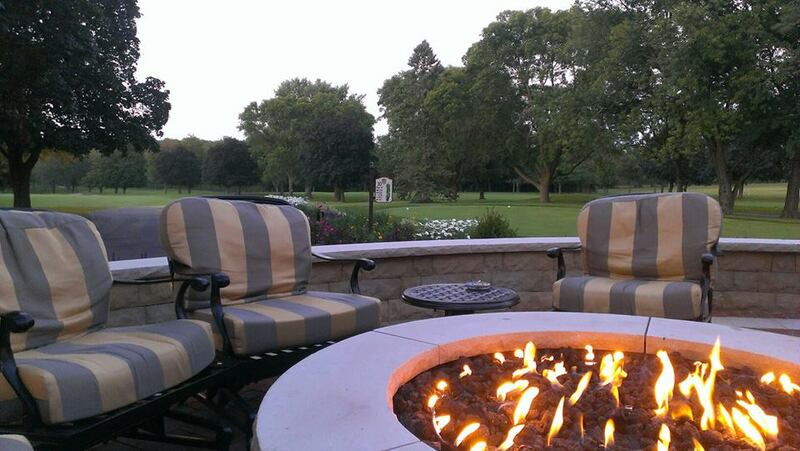 When I started shopping around country clubs, I found my best value to be across the street at North Hills Country Club. 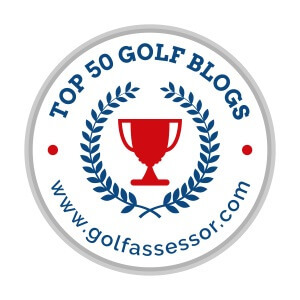 I spoke with a number of people whose opinions I respect: Brian Weis, who owns GolfWisconsin, GolfTrips.com, and 30+ other golf-related websites around the country, Gary D’Amato of the Milwaukee Journal Sentinel, Brett Gardner who is a member at Milwaukee Country Club and is a Vice President where I work, and several others. They all had the same thing to say: North Hills Country Club is a top-notch Wisconsin private club that I will never, ever tire of playing. In February, I got my tax returns back and made out a check for the entire season. I have never been more elated with a single investment in my entire life. Not only do I enjoy playing North Hills every time I get out, but it is on my way home from work and is an easy decision: “Do I want to go home and watch the Brewers lose? 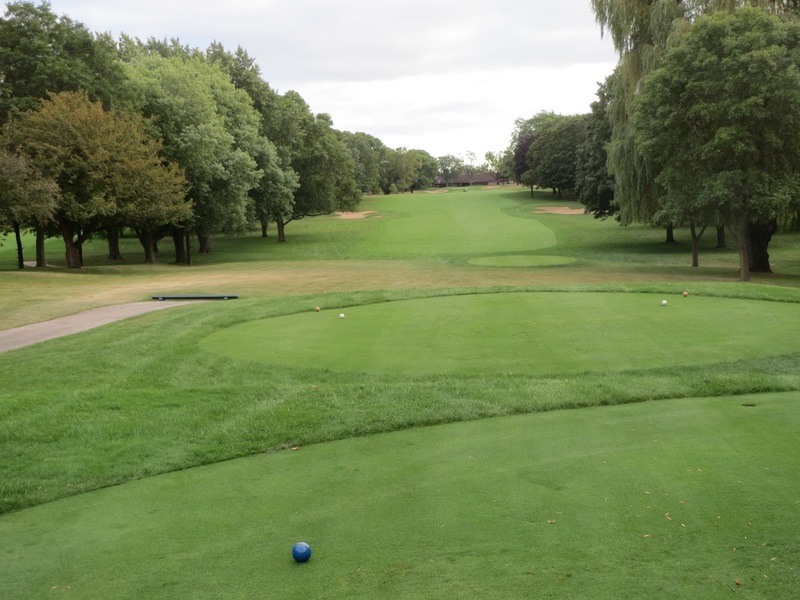 Or would I rather take a right off of Appleton Avenue and play nine holes of golf that I have already paid for?” It’s a no-brainer, every single time! The season eventually got here, though, and in May we were able to start getting out on the golf course. I walked it quite a few times beforehand, too, just to see what I would be up against and get my bearings on what I could tell would be something special. North Hills Country Club was opened in 1930, and played host to the Pabst Blue Ribbon Open during the late 1940’s and ’50’s. It was the third richest paid out tournament on the PGA Tour at the time, and was played by such legends as Ben Hogan, Sam Snead, Walter Hagen, and North Hills’ very own prodigal son, Tommy Veech. Veech set the Club record with a 59, and along with current Club Professional Eddie Terasa is considered to be one of the best golfers to ever play the course. Eddie, a +4.8 handicap, actually shot his worst round of the season with my pro/member group this year, with a 73. He actually apologized to us after the round, after which we tied for the second best group for the tournament at -17 (I played terribly, I’ll admit, but Dave Schuelke and Garth Mohr played phenomenally well to pull us through). Interestingly enough, Veech would never be Club Champion at North Hills, as junior members were not allowed to play in the competition. 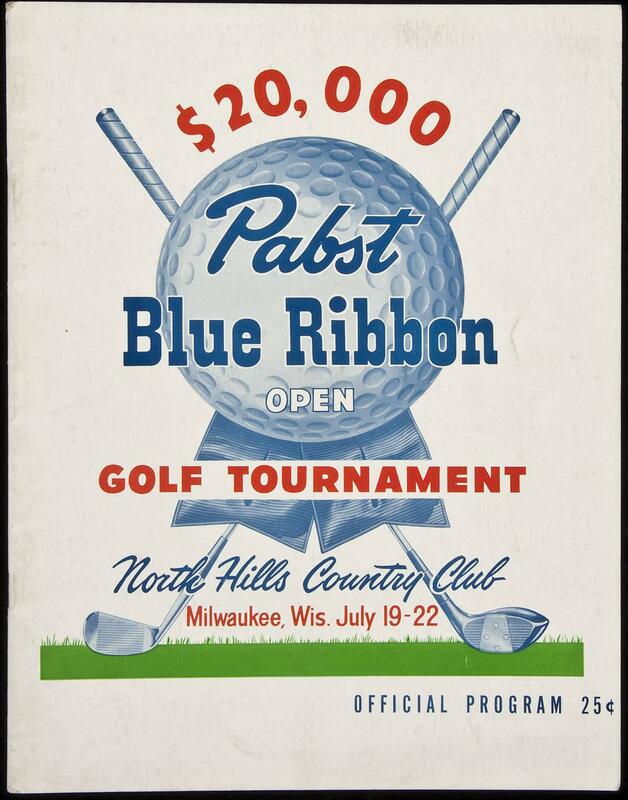 The Pabst Blue Ribbon Open would prove to be a precursor to the Greater Milwaukee Open, which was played on site during 1960 and ’61. 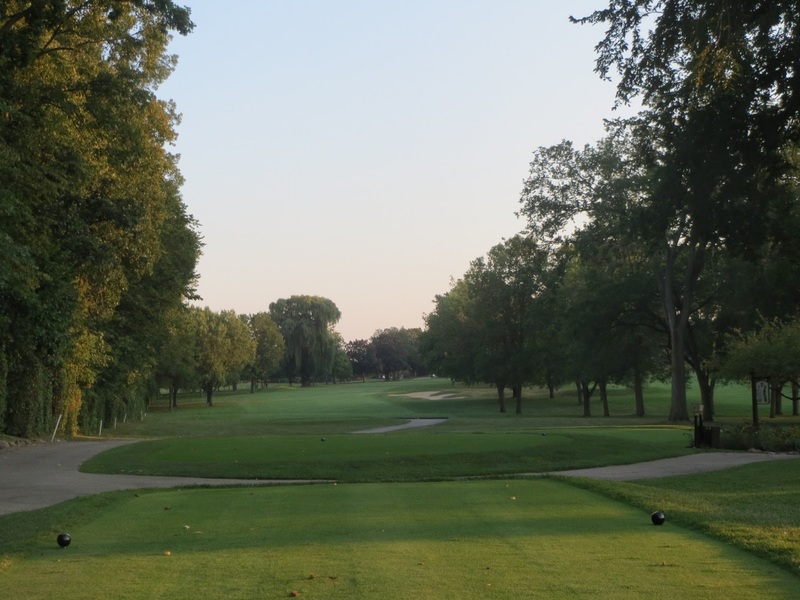 A star-studded field played at North Hills during those years, including 1960 champion and former Golf Channel analyst Ken Venturi, who managed to outplay runner-up Billy Casper, and third place finisher Arnold Palmer. 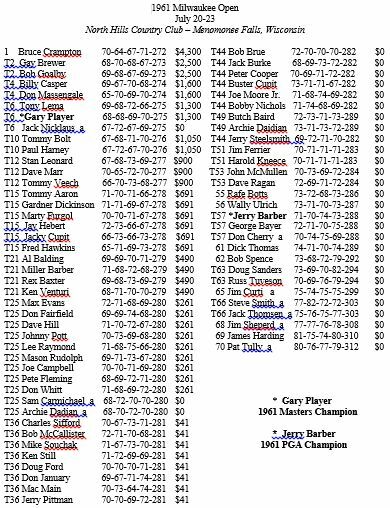 The 1961 GMO would prove to be the final stop of Jack Nicklaus’s amateur career, as he turned pro the following week and made $37.50 for his Tour finish in Davenport. 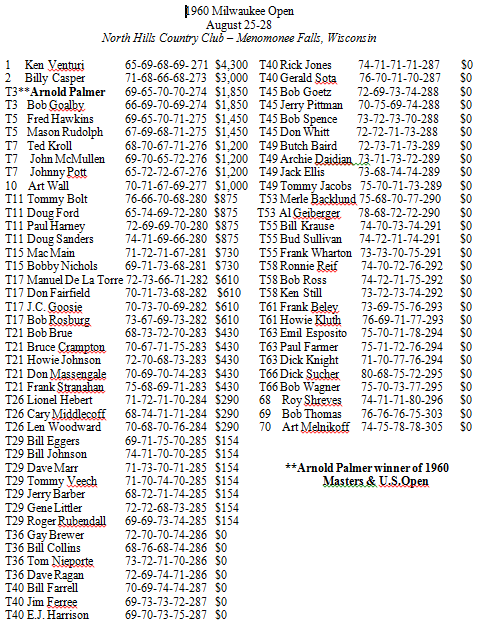 Nicklaus finished tied for sixth in 1961, along with Gary Player who had final scores of 275 (five under par). Former Wisconsin State Golf Association Executive Director Eugene Haas, who had developed a relationship with the late Ken Venturi, told me that Ken talked with him often about North Hills and his love for the course. And why not? 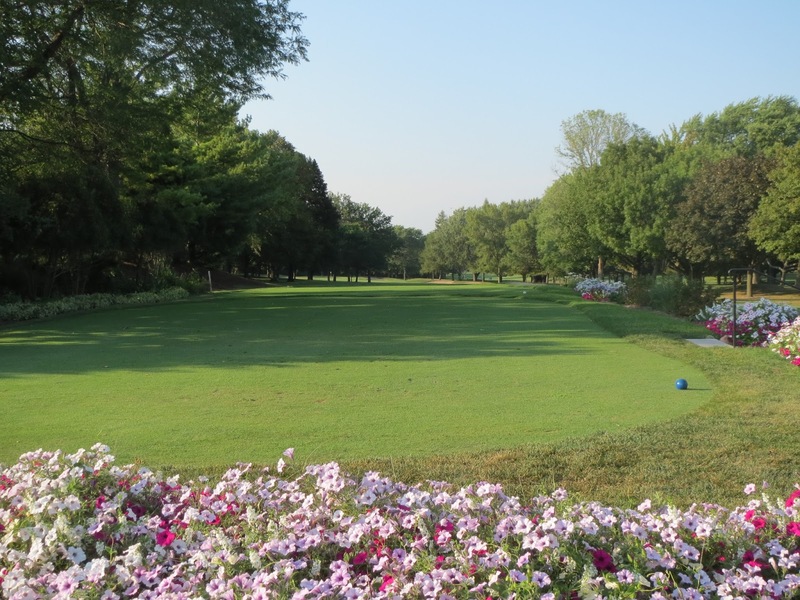 The course is magnificently well maintained by Randy DuPont, and is general managed by private club up-and-comer Kellan Andreakos (formerly of Cherry Hills, in Colorado). North Hills is the kind of course that is a blast to entertain friends at, even though they never seem to shoot well their first time out. 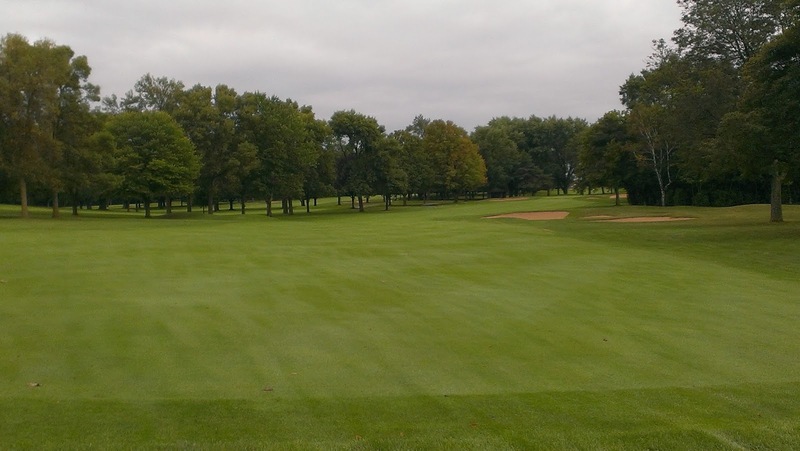 It is tight with it’s tree-lined fairways, and features some of the fastest, and smallest, greens in the state. “How North Hills is not ranked as one of the top ten overall courses in Wisconsin is amazing to me,” my friend, Brett, told me. I could not agree more. 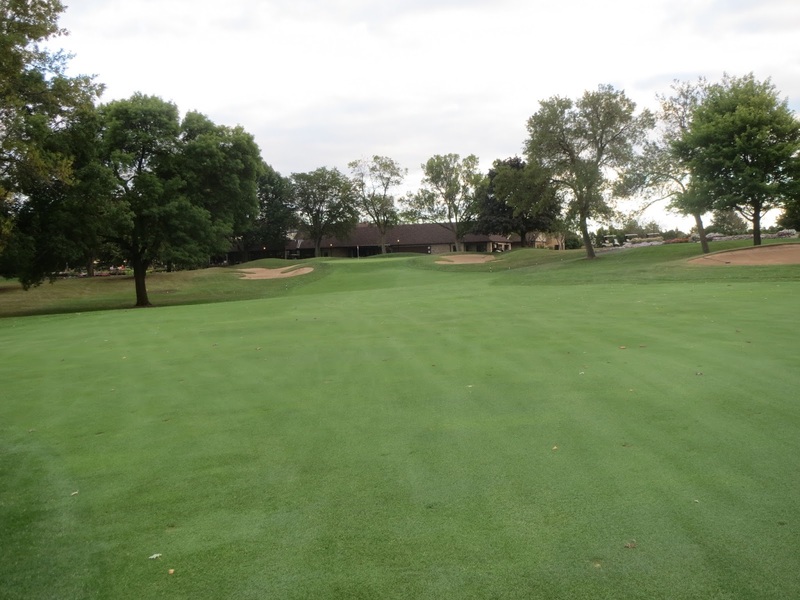 In addition to being the past host of the Pabst Blue Ribbon Open and the Greater Milwaukee Open (which afterwards moved to Tuckaway Country Club and then Brown Deer, where it was the location of Tiger Woods’ first PGA Tour event), North Hills has hosted the Vince Lombardi Golf Classic since 1971. The Lombardi is the country’s longest running two-day golf event, and has played host to such celebrities as Bob Hope, President Gerald Ford (who beaned a spectator in the head off the first tee), Leslie Nielson, Bob Eucker (also a member of the Club), and of course many of Wisconsin’s top athletes and celebrities. Robin Yount’s team won the Classic last year. The tournament costs $1100-plus per entrant, and is filled quickly on an annual basis with all proceeds going to the Vince Lombardi Cancer Foundation. Over the past 43 years, the Foundation has raised more than $16 million. This year’s Lombardi Classic unveiled the Club’s newest asset, and one of my favorite areas in the world: The grand new patio. Complete with a circular bar, three fire pits, and seating for 145, the new patio has become a staple of the North Hills social scene, and the envy of other area clubs. 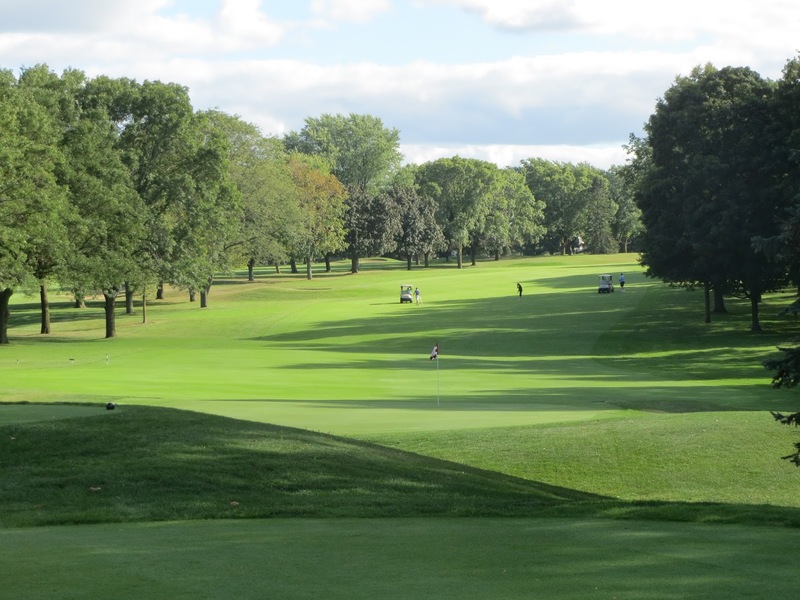 Well-renowned for featuring some of the Milwaukee area’s best greens, North Hills puts a premium on great golf. Why? Because the Club is golf-oriented. 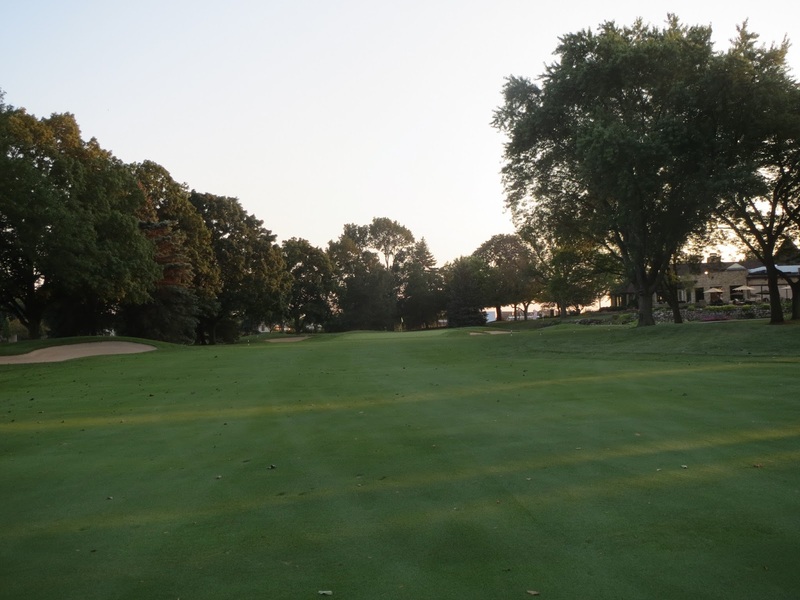 Unlike other area golf communities, North Hills does not have a swimming pool, tennis courts, or other athletic venues. 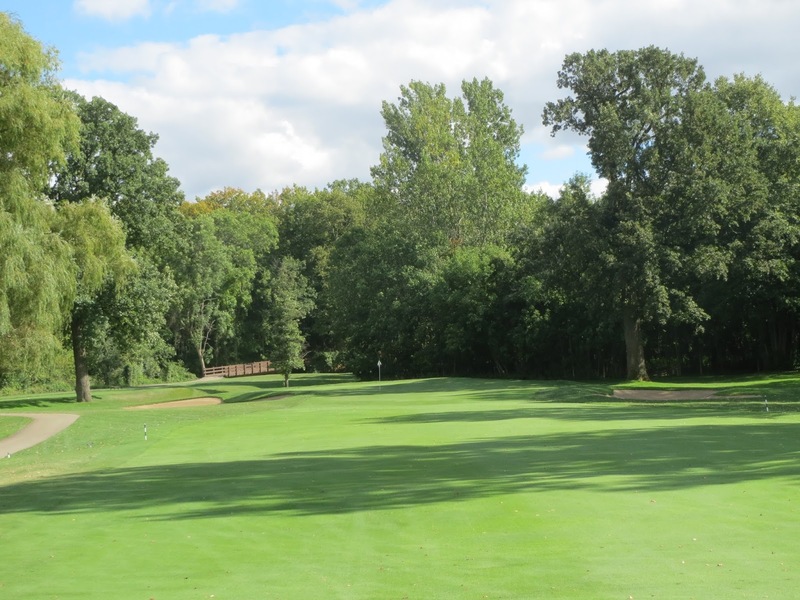 The club caters to the golf enthusiast in us all, and puts a premium on fantastic golf, great food and service, and one of the most friendly private memberships in the metro Milwaukee area. 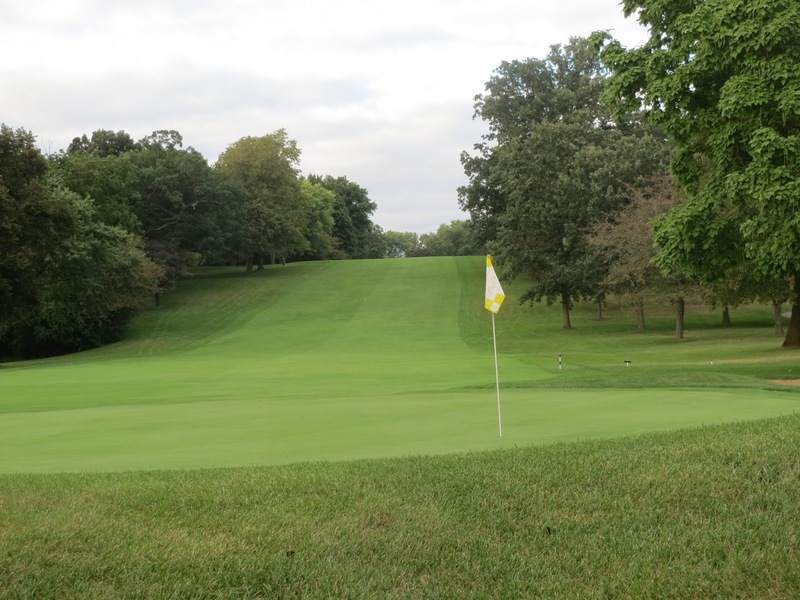 North Hills Country Club starts out with what most members consider to be one of two true birdie holes on the front nine. 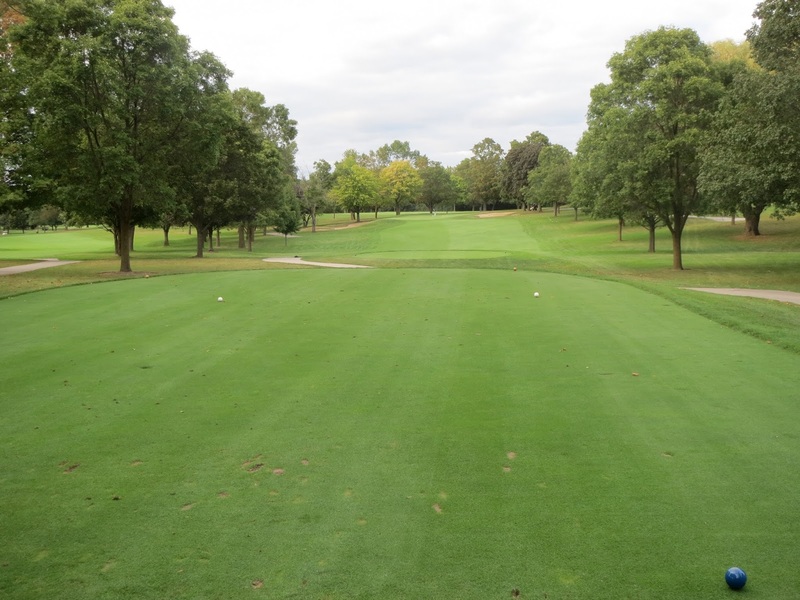 A par four dogleg left, the right play on one is less than driver to the bend in the dogleg. Like all but two holes on the course, the opening hole is bunkered on both sides of the green. “As if the greens aren’t small and challenging enough, they had to bunker every single one of them,” I was told prior to having played it. 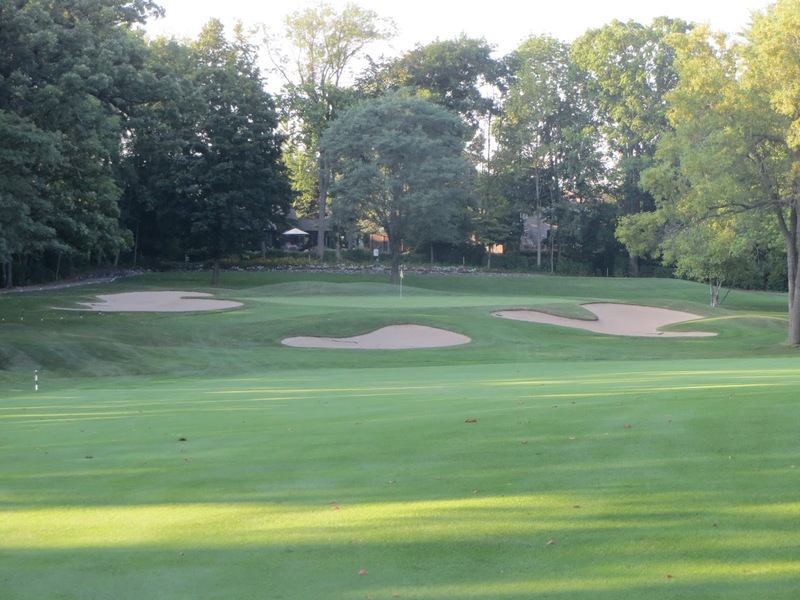 North Hills “Travels well.” Any player with a single-digit handicap at this course will shoot well on other courses, which are typically much more wide open with larger, more forgiving greens. I have seen all but one single-digit handicap friends of mine fail to break 80 their first time out, in fact. The second hole is a tricky uphill par three, with sand on each side and one of the toughest greens on the course. Breaking heavily from the back to front, the first 15 or 20 feet of the green is a false front that, if landed on, will usher tee shots back down to the leading fairway. 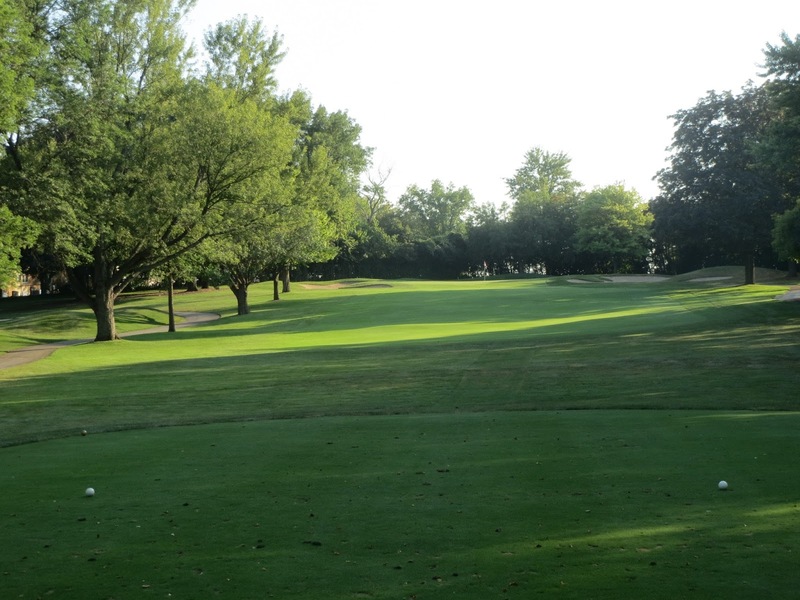 The third is one of the toughest par fours found anywhere. At 439 yards from the blue tees, the tee shot downhill plays to a dogleg left that leads to a 200-plus yard approach uphill to a brutally difficult landing surface. The left side of the hole is dead, and blocking the approach right will put golfers in jail to get back uphill through the trees and over a deep green-side bunker. 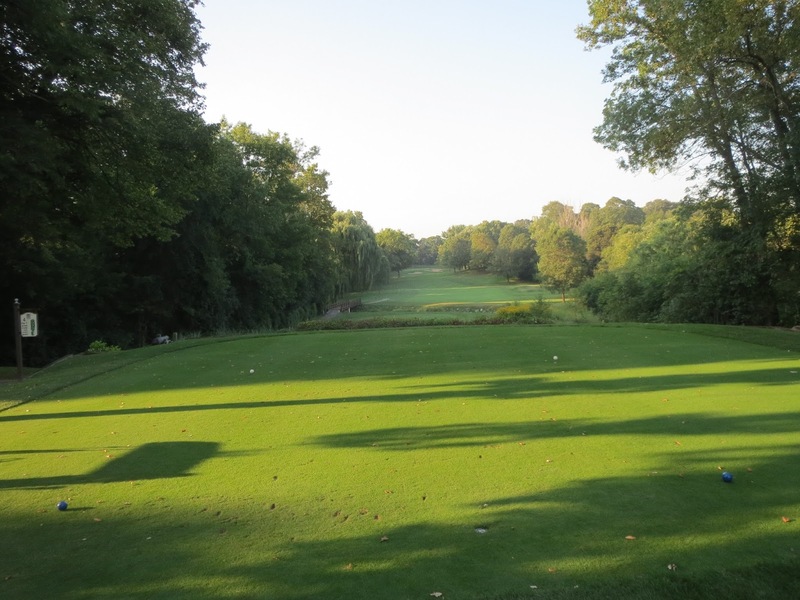 “My birdie on three was probably the best birdie of my life,” Midwest Golfing Magazine publisher Glen Turk told me. I lipped out for birdie a few weeks ago, and would have held that one in the same regard. The fourth hole is one of the most picturesque on the course. 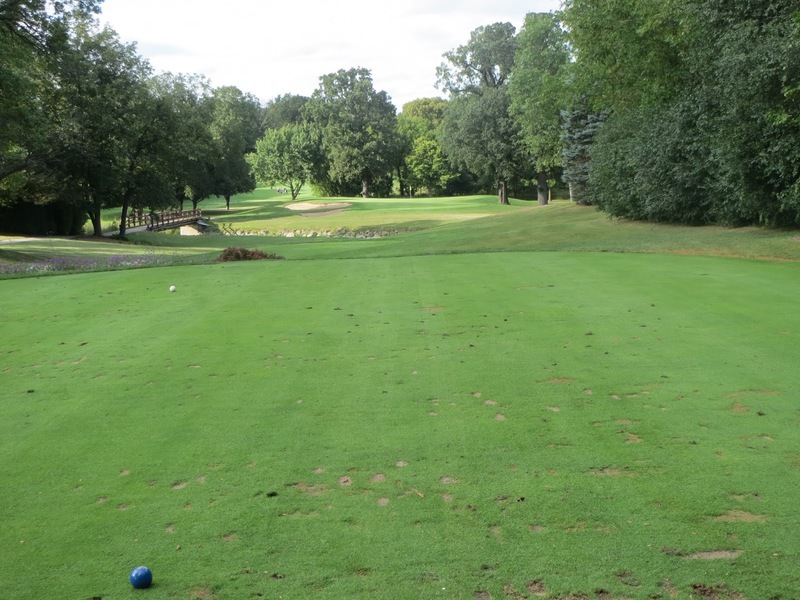 Elevated tee boxes play over the Menomonee River and along the property line to the left. 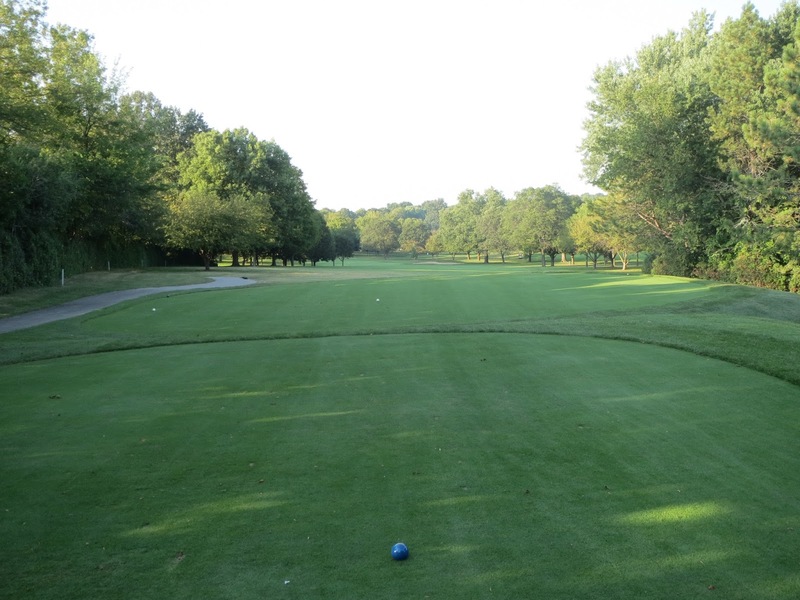 This hole is all about being in position to hit a solid second shot, as anything left or right will likely leave a wedge or 9-iron over or between trees to re-find the fairway. 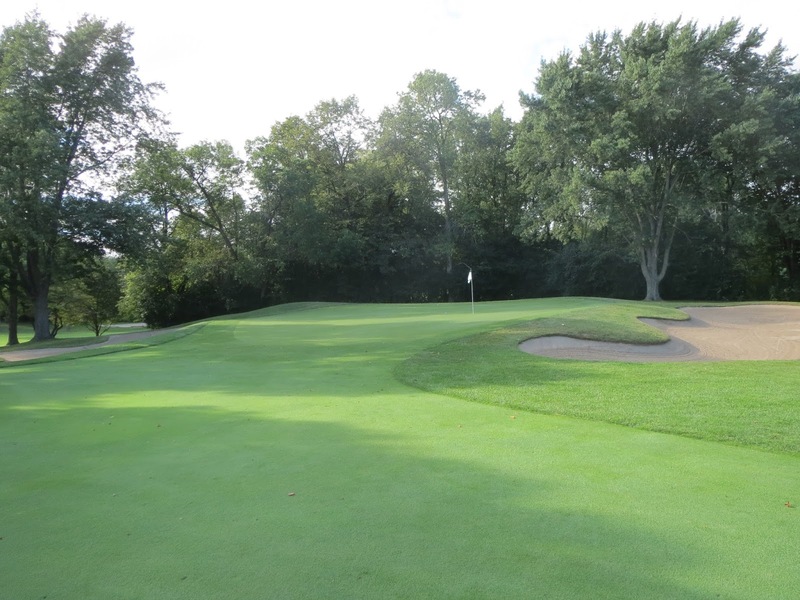 A third, centrally located green-side bunker was added not too long ago, and guards this short par five from being reached too easily in two. I find myself taking a reflective, happy look back down the fourth fairway after every single time I play it, and always make sure to point out this beautiful vista to my guests. If there is one hole at North Hills that I could do without, it is the fifth. 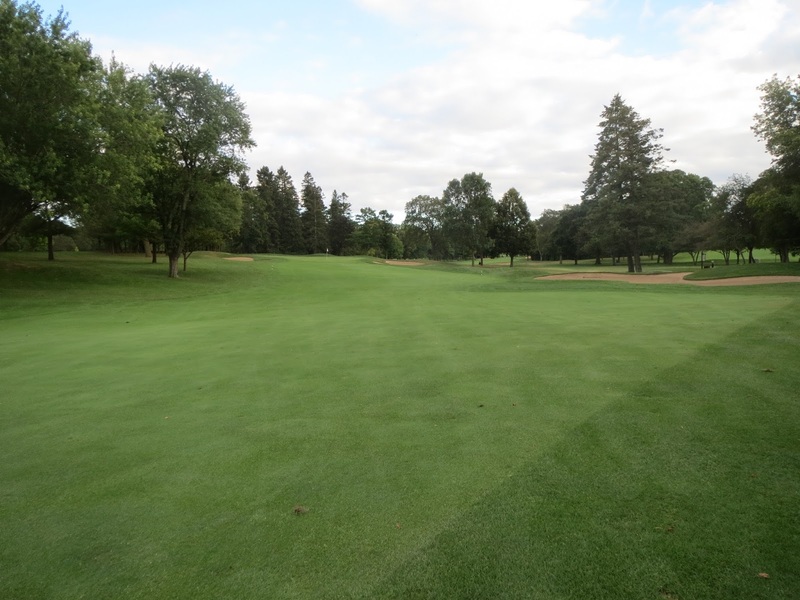 That is not to say it’s a bad golf hole, because it’s not, but with a treeline and out of bounds left, a fairly tight uphill fairway with trees on the right side, and bunkers surrounding a false front on a tough green, I have had a lot of good rounds start to go awry on the fifth. The one tip I can give about the fifth hole is to stay below the hole (like on most greens at North Hills). Anything above will be very fast on the way down, or will bend a whole lot and leave a long uphill putt. The approach to five is normally played best over the left side of the right sand trap to get a nice kick toward the center of the green. 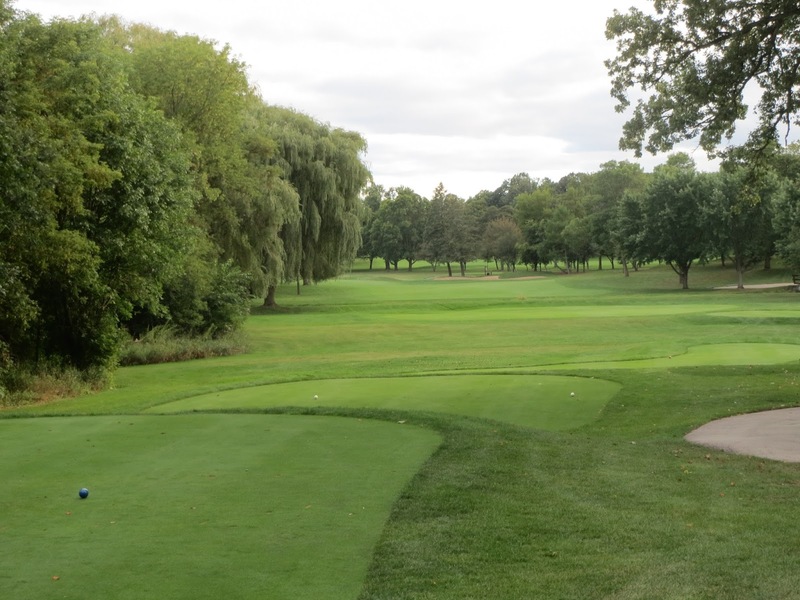 One of the signature holes at North Hills Country Club, the sixth is one of the classic holes on this historic track. The old saying goes to “Aim right of the St. Anthony’s steeple,” which stands proudly above the right side of the fairway. 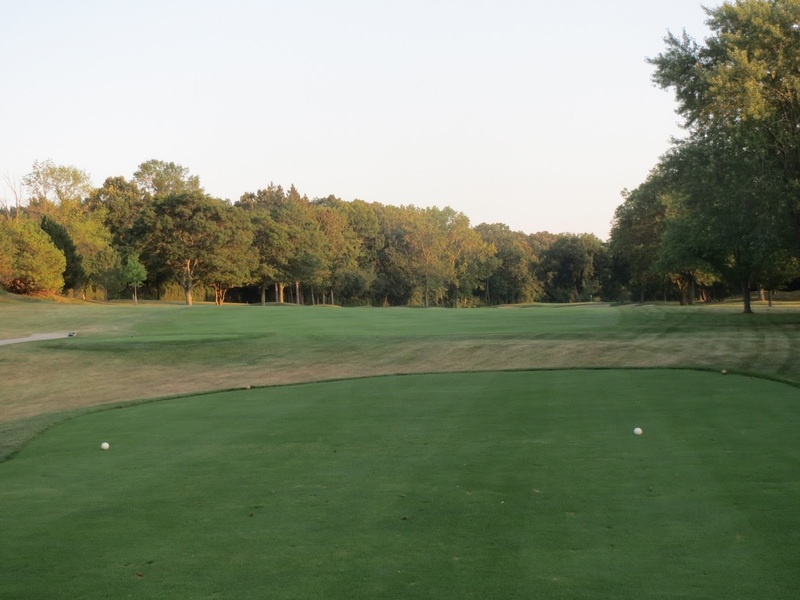 Long hitters can fire down the middle of the fairway, but anyone who doesn’t hit longer than 250 yards, accurately, should aim right of the steeple to hit the right side of the fairway and have it bound down the hill and to the left. Anything down the left side of the fairway, unless it’s very long, will end up in the trees and leave a difficult shot out. Anything under 250 yards to the right side of the fairway will either leak down the hill, or else stay in the middle or on the right side of the fairway. Anything left here results in an extreme side-hill draw lie. There is a narrow entrance to the green on six, and bunkers both left and right. The seventh is my favorite par three on the course, and can play incredibly differently depending on where the tees are located. If the tees are back, on the small elevated tee box left of the cart path, they say to hit the distance (which is always displayed for the blue tees) or go up half a club. If the tees are on the main level, which is only four or five feet beneath the elevated tee box, add between one and two clubs. How does that work, you ask me? I have no idea, but it seems to be right. The green on seven is probably the largest on the course, and has a sharp ridge from the back to the front that divides the green in half. It is vital to hit the right side of the green to avoid delicate putts from the opposite side of this ridge. 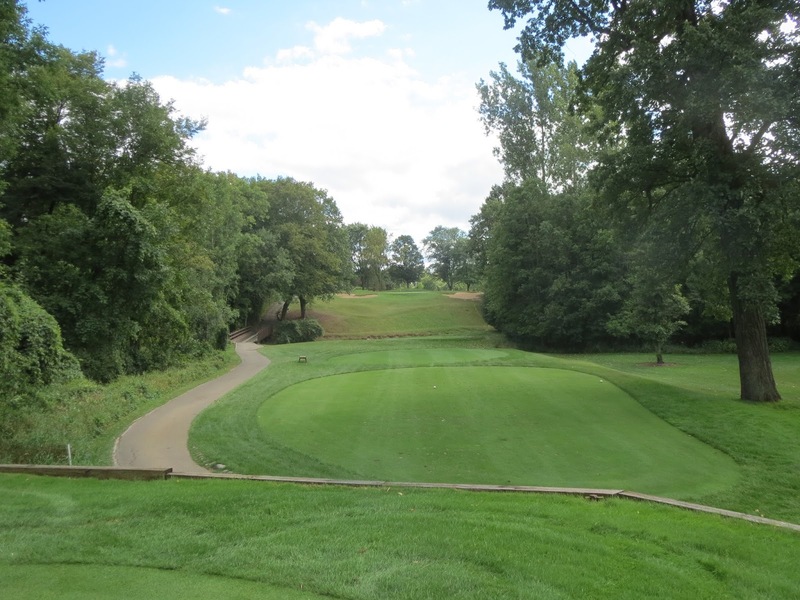 Like on four, the seventh hole provides a wonderful photo opportunity on the look back toward the tee boxes. Eight looks simple, but has been the demise of many good golfers. The first thing to understand is that the tee boxes, and a long trap on the right side of the fairway, aim golfers straight toward the left-side property line, which used to be the location of the Strong Financial building (now Wells Fargo). A decent drive that avoids both the treeline and the sand trap typically results in a wedge in to one of the smallest greens on the course. The ninth hole runs along the same boundary line as the eighth for the drive, and veers right following a bunker on the right side of the fairway. 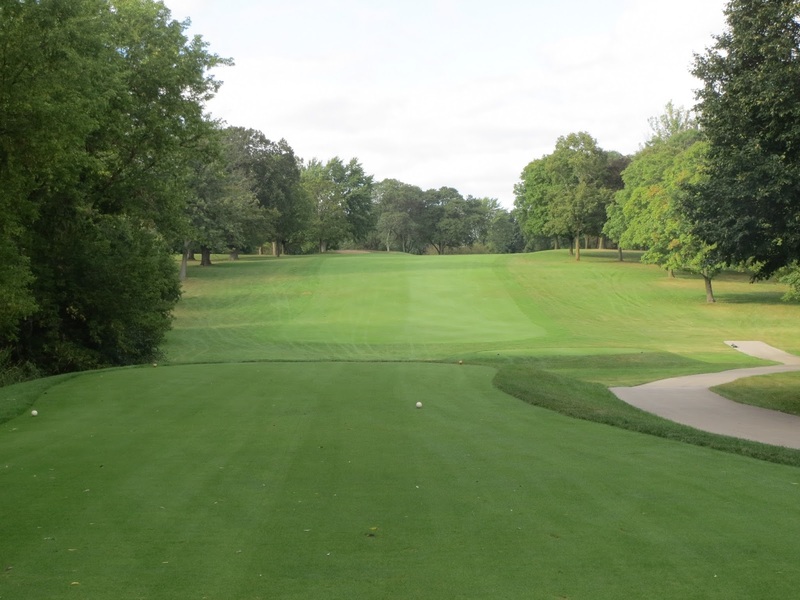 Most golfers will be so concerned with the out of bounds area on the left side that they will either aim for the trap, or else slice the ball in to the woods on the right. That is definitely my tendency, at least. The best play is to keep the ball on the left side of the fairway, where the second shot can be hit with anything as far as you can. The right side will have to be laid up to a long distance out. The green on nine, located just left of the clubhouse and right of the practice range, is narrow and bunkered on both sides. The back nine starts with a long, challenging par four. 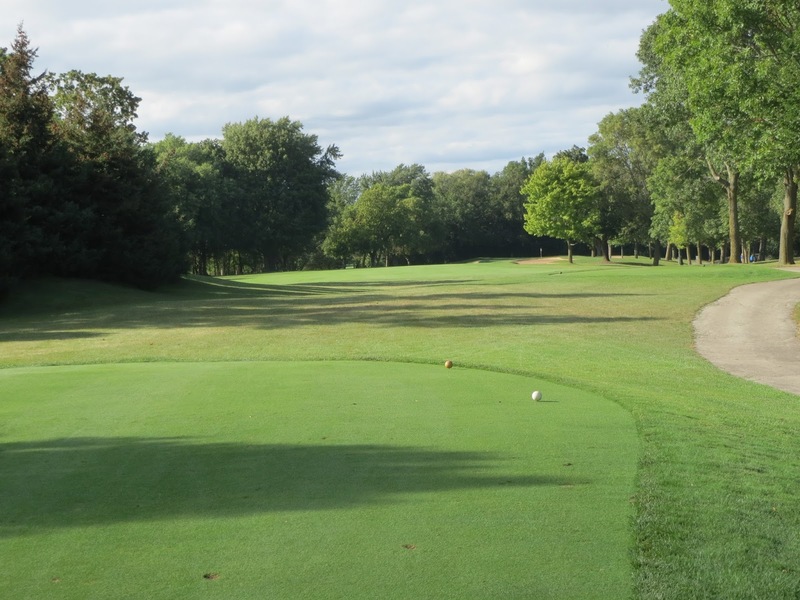 The new patio abuts the tee boxes, and it’s common to have groups of Club members cheering players on, or more often jeering.The fairway on ten runs softly from the right to left, downhill to one of the toughest greens on the course. The putting surface on the tenth runs hard from the back to front, making anything above the hole a tremendous challenge. Eleven, to me, is one of the most underrated holes on the course. 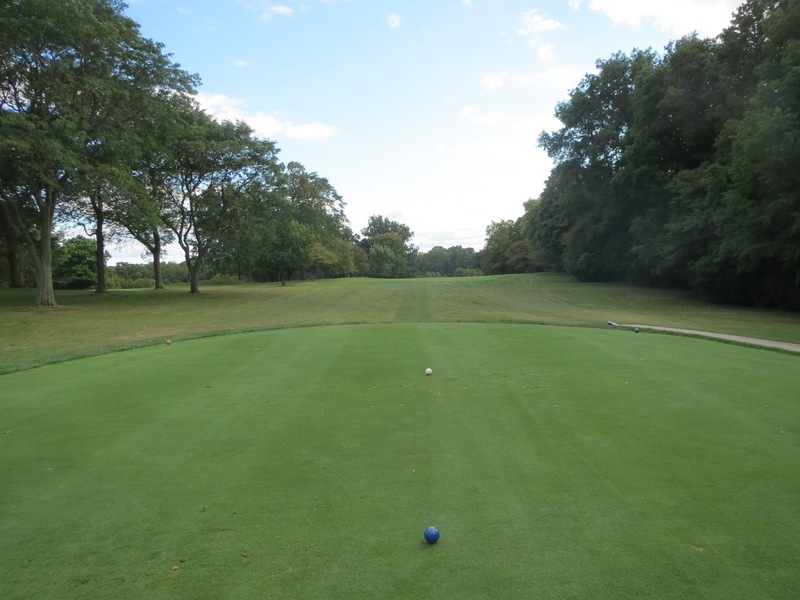 The driving area is fairly open on the left side, but very difficult to play from to the right of the fairway. Aim left of the fairway sand trap for any chance of hitting this tiny green in two. 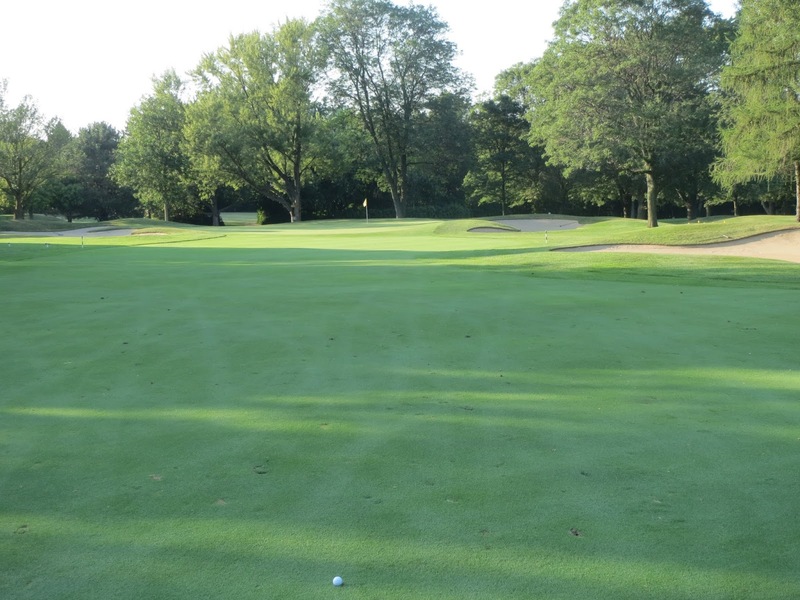 Twelve can be one of the hardest par threes on the course, and it can also be one of the easiest, depending on the location of the tees and pin. Anything located toward the back of the green, especially the back-left, makes this a brutally hard par three. The tee shot on thirteen has to get to the top of the hill for any view of the green on the approach. About 230 yards should do the trick, so driver is not 100% necessary if you’ve got a long three-wood. 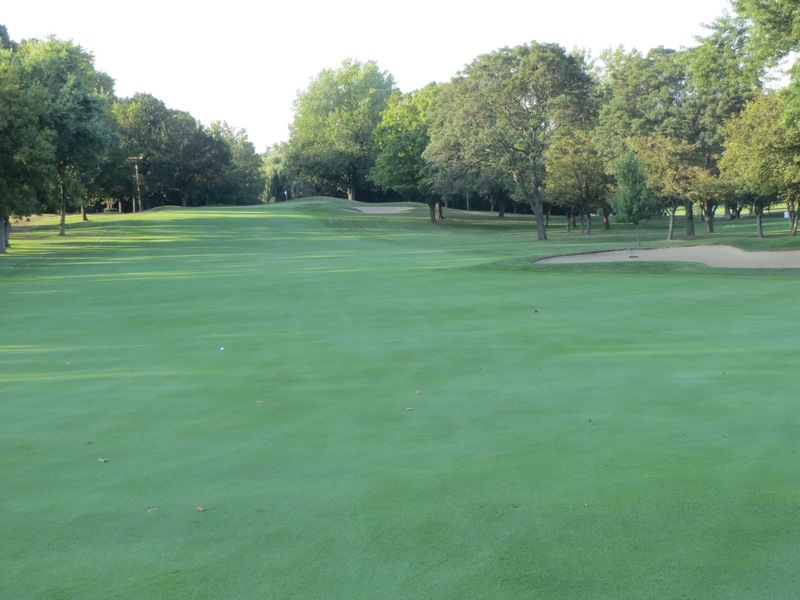 Many members consider the green on thirteen to be the most sneakily difficult green on the course. Any approach that goes long will be very tough to judge. Fourteen is the second handicapped hole at North Hills Country Club. 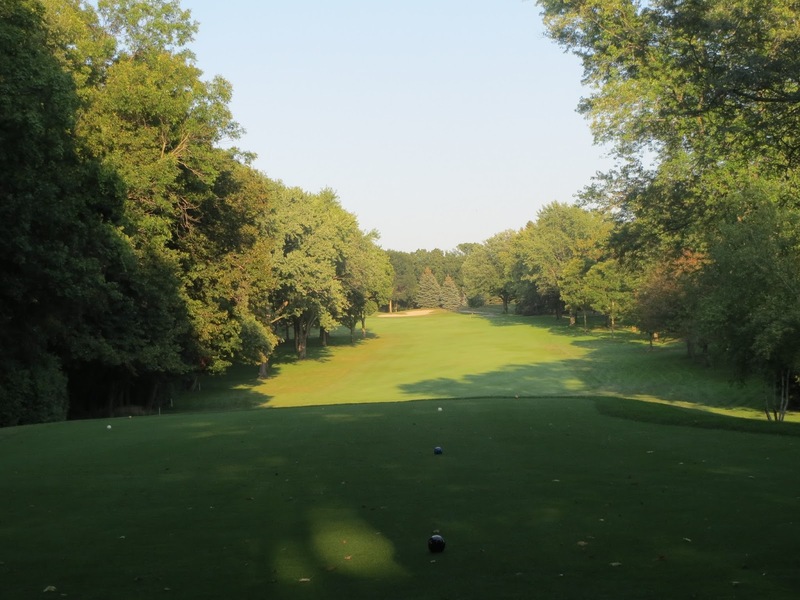 It is the hardest driving hole on the course, with forest right and a tight fairway that is lined by trees on both sides. 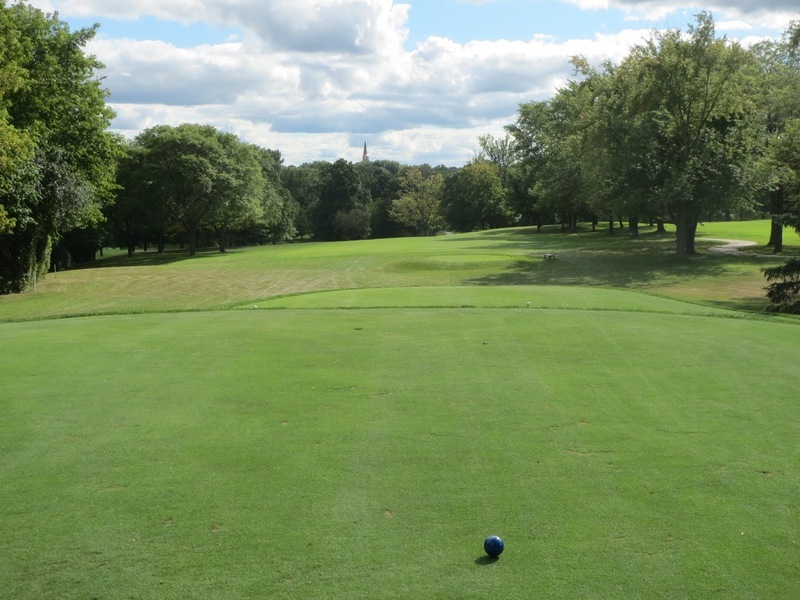 At around 250 yards from the blue tees, the fairway drops heavily downhill and can make a 250-yard drive into 300-plus. If the crest in the fairway is not reached, the approach will be long but well downhill, taking off a club or two from the distance. 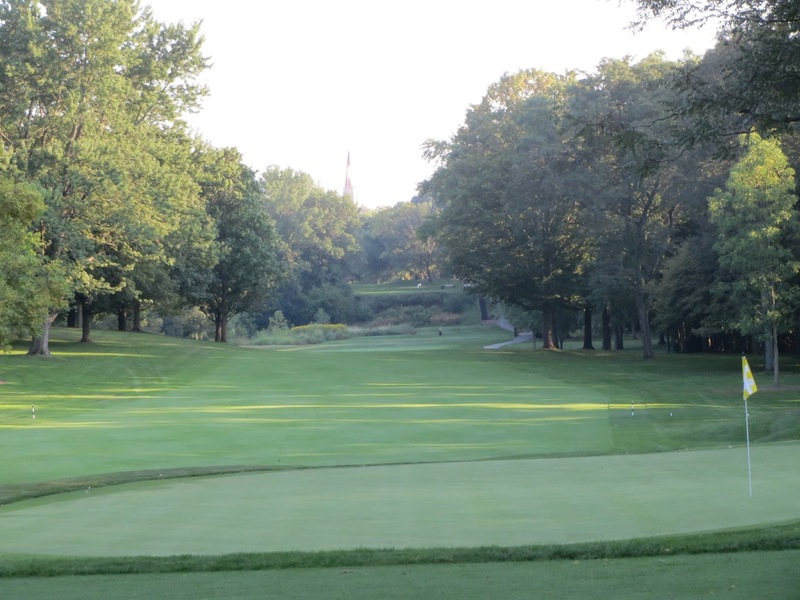 The fifteenth is many of the members at North Hills’ favorite hole. It is a short hole that leaves a manageable uphill approach to the green, which is where the fun begins. 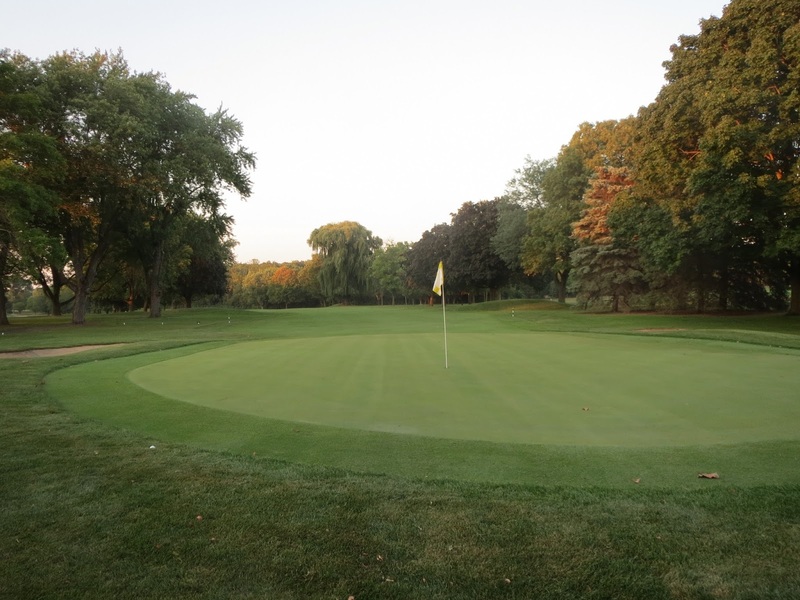 The putting surface on fifteen is one of the most drastically breaking greens on the course, regardless of where the pin is located. Sixteen is a legendary hole at North Hills. Members talk about a specific historic event on this hole, involving one of golf’s all-time greats, Ben Hogan. Legend has it that Hogan entered the sixteenth hole during his final round of a Pabst Open event tied for the tournament lead. After hitting the green in two, he read the putt opposite and wound up three-putting, eventually losing the championship by one stroke. Later that night, following drinks, Hogan guaranteed that this putt would never break that way again. Bringing flashlights and a crowd back out on the course, Hogan putted repeatedly with the same results as during the tournament. 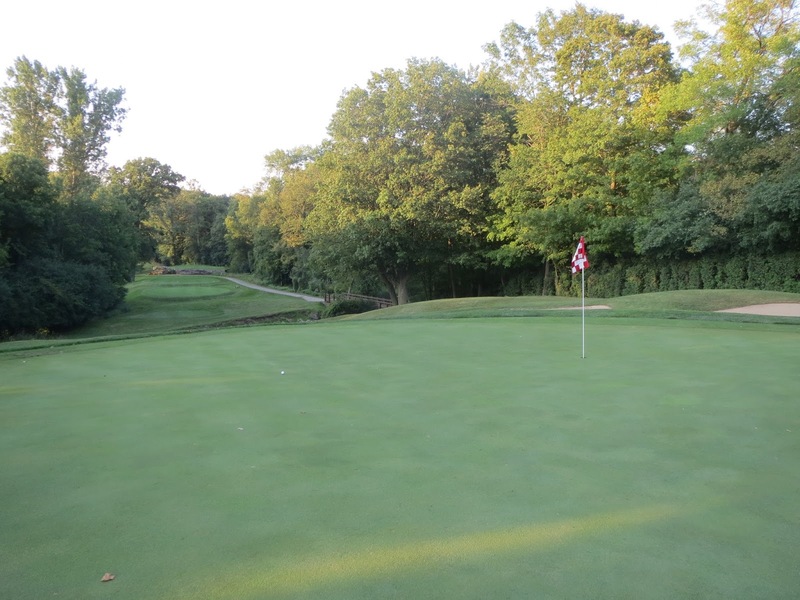 Members say that you “Putt from memory” at North Hills, and short game is the key that has kept all but one of my single-handicap friends from breaking 80 on the course this season. The only one who has, Jason, shot a 42/36 after starting to understand the greens better on the back nine. 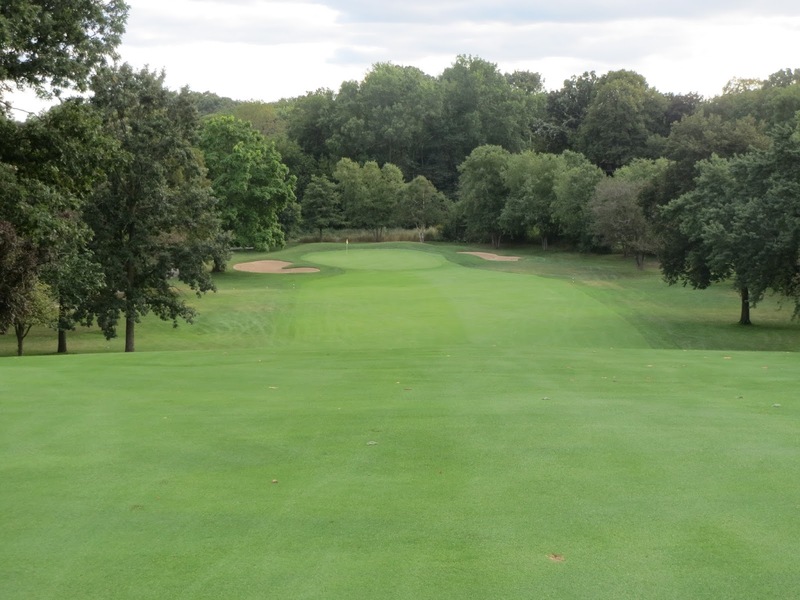 A golf writer friend of mine told me prior to joining North Hills that seventeen is possibly the hardest par three in the state of Wisconsin. With a very difficult green and traps on both sides, the uphill seventeenth almost always plays in to the wind from distances between 210 and 239 yards. The eighteenth is my personal favorite hole at North Hills. The only par five on the back nine, the Club’s finishing hole tees up from 520 yards to a fairly wide, tree-lined fairway. Long hitters can hit to or past the traps on each side of the landing zone in the fairway, but this is a very tough par five to reach in two. The most remarkable aspect of the eighteenth is it’s green area. Risen high above the approach zone, the green on eighteen is the smallest on the course and is surrounded on the left and right by deep green-side bunkers. The trap on the left side is preferred to the one on the right, as the green slopes from back to front, and from the right side to the left. A front pin location, if the approach is over the hole, is very tricky to hold. In one group I played in earlier this year, two of the three players in my group actually putted past the pin, off the green and twenty or more feet down the fairway. Dan, a seven-handicap, did it twice! Most young, avid golfers believe that country club membership is reserved for millionaires, or that the social scene would be stuffy and exclusive. 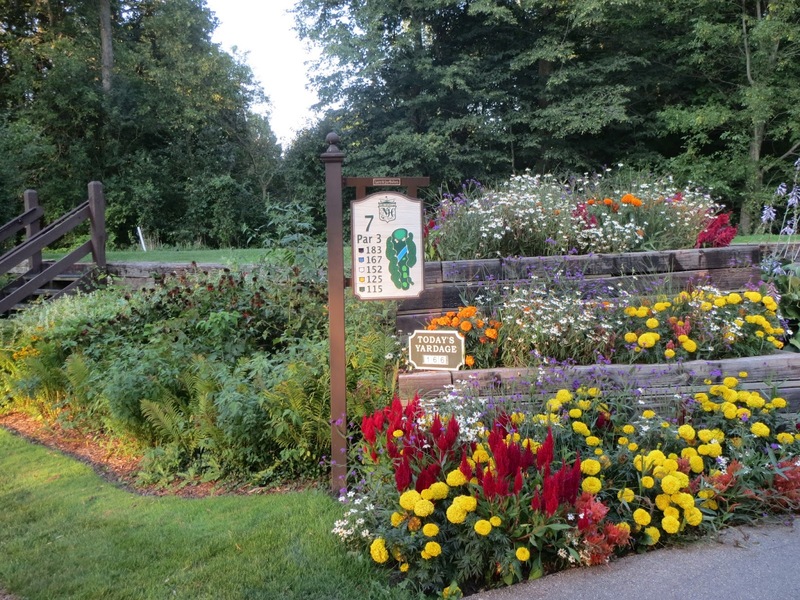 If you love to golf, and would like to be part of a warm, welcoming community of others who love to golf, North Hills Country Club is a haven for fantastic golf and wonderful people.